It’s safe to say that some of us have a natural love of hosting. Maybe you’re naturally a very mothering sort of person, or perhaps you just love socialising and providing good food and drink for your friends. Whatever it is, throwing dinner parties can be a great way for you to enjoy perfecting your hosting skills and to throw a fun bash for friends and family at the same time. You may choose to have a family affair complete with the kids in tow, or you may ship your little darlings off to their grandparent’s for the evening in favour of a more adult affair with your friends. Dinner parties usually involve a three course, home-cooked meal and lots of free-flowing wine – but if you really want to pull off a great night, you will also have to think about more than just the meal itself. The decor and the ambiance of the room you hold the party in can have a real impact on how the evening is received by your guests and what the overall ‘vibe’ is. Here are a few ways you can maximize dinner party chic no matter where you are holding your night. Getting the lighting just right for your dinner party can be a bit of a tricky affair. Anything too bright lacks atmosphere and can make your guests feel a little uncomfortable, almost as though they are being put under a microscope. But lighting that is too dim can simply be impractical – after all, your guests presumably want to see the food they are putting in their mouths! Your best bet is to make use of your ceiling light dimmer if you have one. If you don’t, and the only setting for your main light is either ‘on’ or ‘off,’ you may need to bring some table lamps in from other rooms in your home. Sit them near the table, but not on it – you don’t want the glare to bother your guests or harm their eyesight. 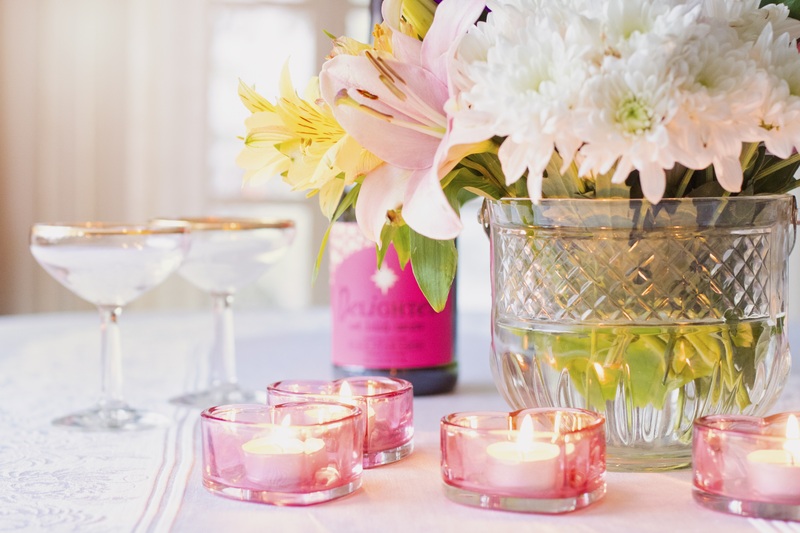 A few candles on the table always look great as well as being a practical light source – either opt for tealights or make like a traditional Italian restaurant, with candles stuck in empty wine bottles. Bonus points if the wax drips and dries down the sides! 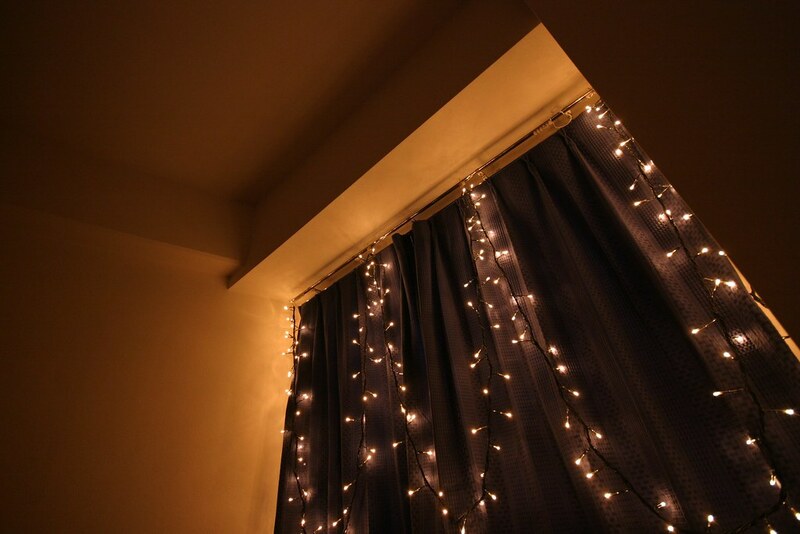 Fairy lights can also make the place look extra-fancy and show that you’ve gone that extra mile for your guests, so consider draping some around your dining room window or arranging them in a waterfall effect down the wall next to your table. A beautifully set table is the hallmark of any quality dinner party. Simple throwing a pile of cutlery down for your guests to help themselves to just won’t cut it, unfortunately – you will need to get the table presented long before anyone knocks on your door. The first thing you need to think about is whether you are going to have a tablecloth or not. Honestly speaking, it’s probably advisable, as if you don’t have one you are putting your table at risk of burns, scratches, and spillages. Invest in a good quality one from a company such as Richard Howarth, and you can be sure that it will last you for a good few years at least. You may also want to invest in some new cutlery specially chosen for dinner party occasions. Of course, there is nothing wrong with just using your regular, everyday family cutlery. But if you are anything like most families, it is probably mismatched, dated or simply a little worn. Having a second cutlery set specifically for dinner party guests means that you are not panicking five minutes before they are due to arrive, frantically trying to polish a watermark off a ten-year-old fork. You can either opt for a detailed, vintage-style cutlery set or go for something more modern with stainless steel and clean lines. As far as adding a little bit of sparkle to your table goes, you may want to think about table toppers. The decor isn’t a must for a dinner party table (and anything too big can simply get in the way of plates and glasses), but it can make the whole thing look a little prettier. Even something low-key like two baby cacti in pretty vases can add a touch of interest to an otherwise basic table, and the aforementioned candles never go amiss either! There are so many ways you can bring a touch of personality to your dinner party in relatively inexpensive ways. Make some place names for your table – this will make the event seem a little more formal and fancy for your guests, rather than them just coming over and flopping down in your home wherever they like. Get hold of a calligraphy pen and write their names in black on rustic cardboard signs for a cool and classy effect. Or, make everyone laugh by digging out some old pictures of your guests and using them as their place settings. If you feel like you need to add a bit of ‘oomph’ to your table, why not buy some colourful patterned napkins to serve alongside the cutlery? You can get hold of these from most high street shops with a home section, and even party shops tend to usually have a good range on offer. Other cute ways to make your dinner party special include hanging homemade bunting from your light fixtures and even incorporating a theme. For example, you could choose to have a prohibition party and encourage your guests to come dressed in their best 1920s attire. Think black and gold glitter, candles in empty alcohol bottles and Great Gatsby-inspired text on your place names. It is the little touches like this that will make your guests remember your dinner parties for years to come, and you can have a lot of fun with it all too!